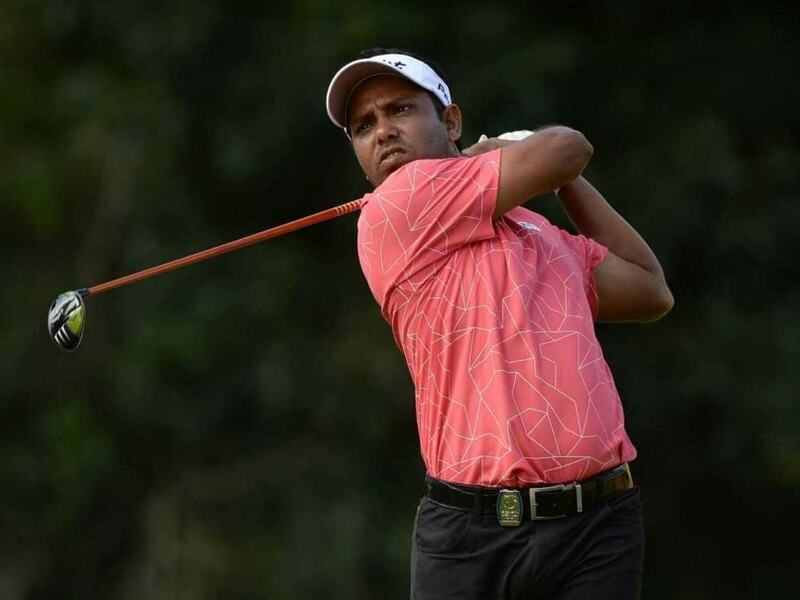 Take Chennai golfers SSP Chowrasia and S Chikkarangappa joined hands to pull the rug from under the feet of three-day leaders Dev Chandigarh to clinch the Louis Philippe Cup Pro Golf League at the KGA golf course on Saturday. The duo stitched together a dazzling nine-under 135 for a final tally of 21-under 555 to take home the team bounty of Rs 36 lakh, with the three members pocketing Rs 12 lakh each. Chikkarangappa had the additional satisfaction of picking up Rs 3 lakh more for finishing on top of the individual leaderboard after the four rounds with an overall aggregate of 10-under 278 after the four rounds. He rounded up his fine show with a five-under 67 that, along with Chowrasia's four-under 68, was enough to complete the dramatic win. The Chandigarh team had to be content with the second place and a team purse of Rs 24 lakh (Rs 8 lakh each) as it couldn't sustain its good show on the day that it mattered most. Himmat Rai shot a steady two under 70 but both Sujjan Singh and Amardip Malik went over par (73 and 75) to lose the battle. They eventually finished three strokes behind the leaders (18-under 558). NSports who had jumped strongly into contention on Friday were unable to produce the same performance in the fourth round. Om Prakash Chouhan (three under 69) and Gaganjeet Bhullar (two under 70) had a good day but it was only enough to give them the third position. It wasn't an easy run for the Chennai team though. They were tied second, five strokes behind the Chandigarh outfit after the third round on Friday. Chikkarangappa carried his good form from the previous day but Laqshya Mumbai gave him and his team a run for their money, with Chiragh Kumar matching him stroke to stroke, birdie to birdie. He too returned with a five-under 67 to card the day's best score along with Chikka. He, however, missed out on the individual prize money on the last day's countback. Chikkarangappa bagged birdies on the 6th, 7th, 11th, 12th, 16th and 18th holes and a lone bogey on the third. "It is always a great feeling to win on your home course. We were close last year but we did it this time. I have finished runner-up two times in the Louis Philippe Cup and have won it this year," he said. Chikkarangappa's teammate Chowrasia contributed at the right time, scoring four birdies on the 1st, 8th, 16th, 18th and an eagle on the 14th. He however had two bogeys, on the 6th and 9th holes. "I was not satisfied with the way I was playing till today. After the win I can say I am satisfied. I am happy to win the tournament after finishing runner-up last time. Hopefully there are many more to come."